It might help those who are predisposed to nervousness if we begin by dispelling some of the common misunderstandings which surround examinations. Once the end of a course draws near and exams approach, there is a tendency for many students to begin scare-mongering or passing on examination horror stories, many of which come into the category of urban myths. These vary from ‘The people who walked out of Sociology Paper I last year’ and ‘The exam paper which had two pages missing and had to be re-set because of protests’ to ‘The student who did no work on the course, began revising the night before, and finished with a First’. These stories may be a form of psychological bravado or ‘pre-empting the worst’, but the result as far as the nervous is concerned is likely to be a rise in their state of anxiety. Try not to be drawn into this sort of thing: concentrate instead on positive efforts to prepare yourself. So let’s begin with the most reassuring news of all – which has been mentioned elsewhere in these guidance notes but is worth repeating. If you have attended the classes, read the set books, and done all your course work – then it is very likely that you will pass the examination. This is not only statistically true (most students will pass) but it is even true in the sense of being logical or probable. As we noted in the first chapter, one of the reasons for having examinations is to check that students have understood the subject(s) of the course. If you have done all that the course requires of you, the examination will merely confirm that this is the case. The only instances in which this may not be true are those fairly rare competitive examinations which have a fixed number or percentage of candidates who will be allowed to pass. In such a case you might have done all the work required but be ‘beaten’ to the cut-off line by those who performed even better than you on the day. For the vast majority of examinations however, this is not the case and you can justifiably offer yourself the reassurance that if you have done all the work required, then you are likely to pass. This does not say anything about the level or grade of your pass of course, nor should it be used as a reason for complacency – since one part of the work of a course is the revision for its examination. The next myth is normally expressed in the fear that the paper will contain questions about which you know nothing. ‘What if I’m asked to answer on something I don’t know about!! ?’ or ‘What if I take one look at the paper and don’t recognise a thing on it!! ?’ Many people are plagued with fears like these. The fact is that (with only extremely rare exceptions) the questions on the paper will be concerned with those topics and issues covered in the content of the course. It is true that a question might be framed in a way which forces you to think about a topic in a new light, or it might be open-ended in a way which does not specify the subject (leaving you to supply one). In general however, the examiners cannot suddenly spring new topics onto you. Once again, if you give some thought to the purpose of examinations you should see that they are bound to be comprised of the course subject matter. Be reassured: you are very likely to know the subject matter already. There is also a common fear that you need to know everything about a course in order to be successful in its examination. Those who may have missed classes for a couple of weeks or not fully grasped one of the course topics may imagine that some vital cornerstone is missing from their knowledge, and without it they are bound to fail. Most examinations will present you with a variety of options so that you can answer on those topics which you do know. You should not let some minor incompleteness in your knowledge give you cause for anxiety. If it is not too time consuming you might try to fill in the gap, but just concentrate most of your attention on that part of the course you already know. Because most people find examinations a stiff challenge, there is a tendency to think that the people who set them are somehow trying to be as difficult as possible. In its worst form this myth sees the examiner as some sadistic demon, setting all sorts of traps and snares to catch out the unsuspecting, or devising questions of mind-bending complexity. 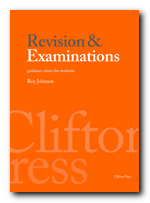 I am not going to suggest that all tutors who set examination questions are paragons of clear expression and thought, but the fact is that (as we discussed in earlier chapters) there is no reason at all why the examiners should set out to make things especially difficult. In fact the opposite is true. Almost everybody involved – your tutor, department, and faculty – all have an interest in making sure that as many people pass the examination as possible. One further simple factor should offer some form of reassurance even to the most anxious, though I am aware that some people will do their best to deny it. The fact is that if you have attended the course and worked in a reasonable manner, then you are in the same position as everybody else. Your colleagues will feel nervous too. Those feelings of anxiety are not something which only affect you. If you feel that you will not be able to do your best work under examination conditions – then other people will probably feel the same. They might not like to admit their anxieties (and maybe you do not either) but they like you will feel that they are working under difficult conditions. You should not imagine that exams are simply a test of memory and speed. There are only a few circumstances in which you might be asked to recount information that you have been asked to remember. Most courses will require that you reveal your understanding of its subjects and your ability to reflect intelligently on its concepts and principles. Moreover, just because a typical examination asks you to write three essays in as many hours doesn’t mean that every one of these one hundred and eighty minutes must be spent writing at high speed. Keep in mind that you will ultimately be judged on the quality of what you have produced, not the quantity. 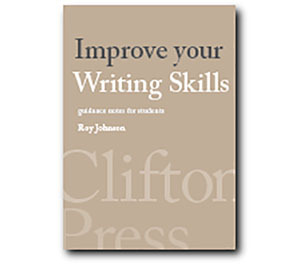 An examiner will give you higher marks for four sides of thoughtful and concise argument than for six or seven which are padded out with waffle. The fear is understandable: for many people educational progress or career development is directly linked to success in examinations. But the fact is that examination failure is not the end of the world. To begin with, the vast majority of exams carry with them the possibility of re-sits. If you fail in June you are given a second chance in September or October. So everything does not depend upon a once-and-for-ever occasion. Indeed, it seems to escape many people’s notice that in the event of not getting through a course successfully, it is possible to take it again the following academic year. All need not be lost. And this is in fact quite common on those undergraduate courses which start out with a compulsory subsidiary course. You enrol to study English Language and discover that you also have to take a foreign language at ‘Intermediate’ level (that is, up to approximately ‘A’ level) for one year. Many students find this extra burden taxing, and because they understandably concentrate on their principal interests they often fail the exam in their subsidiary subject. They are allowed a re-sit in September – and if they fail again they are allowed to repeat the course until they have passed it so as to fulfil the course requirement to have one ‘subsid’.